In one of my previous posts I mentioned I love the haircare brand Kerastase, but was looking to try something new as it just wasn't working for me anymore. So I decided to go by a few people's recommendations and try the Australian brand Kevin Murphy. If you missed my post about my favourite Kerastase products and would like to read it, you can find it by clicking here. 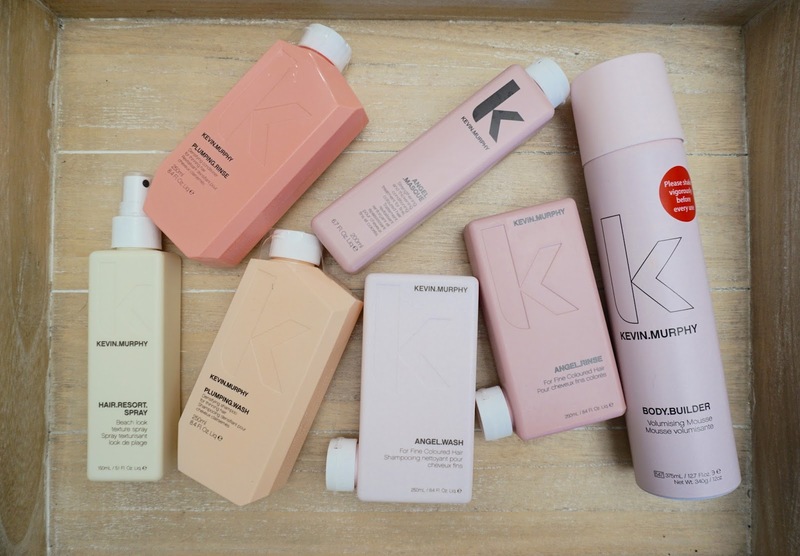 If you haven't heard of Kevin Murphy, that's probably because his products aren't widely available in the UK yet, and he's not as well known as the likes of Philip Kingsley or John Frieda. If you'd like to know a little more about the man behind the brand you can read his impressive bio on the website. His tagline "skincare for your hair" drew me in, and the fact that all the products are sulfate, paraben, and cruelty free really got my attention. I've tried sulphate free products from other brands, but they've never quite hit the mark. I've always found them too drying, leaving my hair extremely coarse, or too moisturising leaving my hair greasy, both equally annoying. I was a bit nervous that these products wouldn't live up to my expectations, but I like the idea of using natural, organic products, so I decided to give them a go. The products come in boxy shapes and pastel colours. The packaging uses 40% less plastic due to the design, which fits in with the organic eco-friendly image the company stands for. I have been using the angel range which is aimed towards people with fine, damaged, or coloured hair, and overall I'm really impressed. The shampoo leaves my hair perfectly clean, but not squeaky clean, which is great if you have knotty hair like me. The masque has a luxurious buttery texture. It's moisturising without weighing my hair down, and smells fruity in a natural way. The product which let me down was the angel rinse conditioner. It's a volumizing formula, so it was really light but just wasn't moisturising enough to de-tangle my hair. I wouldn't repurchase the conditioner for that reason, but would definitely repurchase the other products, although I'm really on the fence about the scent. It's sickly sweet, and reminds me of pick n mix. I'm not in love with it, but I don't hate it either. Something that's worth mentioning is that I've noticed less hair fall when I use the angel shampoo, compared with a shampoo that's not sulfate free (such as Kerastase). So I'm currently trying to figure out whether I'm sensitive to sulfates by using the scientific method of using Kerastase every third wash and comparing the amount of hair on my brush. The other product I have been using is the body builder volumising mousse, which is a weightless spray that gives you an extra bit of oomph. Perfect if you love big hair but don't like the sticky texture of traditional mousses. I think this works really well and doesn't make your hair feel heavy. The other products I have bought but not yet tried are the plumping wash and rinse, which claim to nourish and thicken hair, and the resort spray which is a beachy texture spray. I'll let you know how I get on with those once I've tried them out. You can buy these products directly from Kevin Murphy, however I chose to buy mine from Bath & Unwind as they have a really good loyalty card scheme. Hi I'm Sarah! A lover of beauty talk, floral prints and interior design. 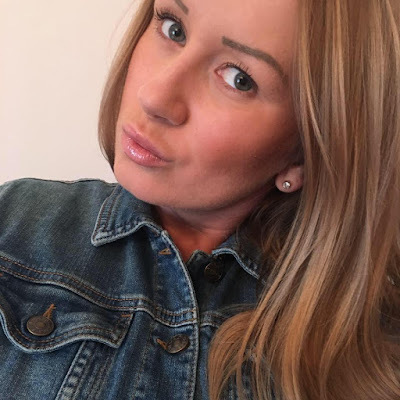 Collector of makeup, based in Essex, UK. I'm passionate about my first loves, my beautiful Shih Tzu Indigo and tiny Chihuahua Molly Mouse. Welcome to my blog! Living Proof Worth The Hype? Indigo and Mouse. Powered by Blogger.